Story: Graham McGahan is a cop - almost by default he thinks. Self centred, beset with doubt and afflicted with tinnitus, a few days before Christmas he is sent by his boss to man a police van in a suburban shopping strip, after violent murders rock the local community. McGahan starts to engage with traumatised members of the community, as they deal with the afterburn of these terrible crimes. He learns to come to grips with his role as a cop and a man. But terror has a way of finding the most vulnerable amongst us. 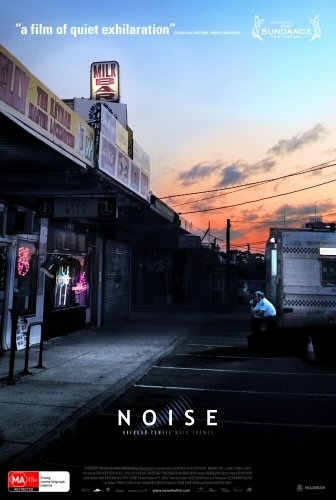 "Noise" deals with the response of an ordinary young man, to the challenge posed when a community is affected by tragic events. The film shows we are at our best when the worst occurs.